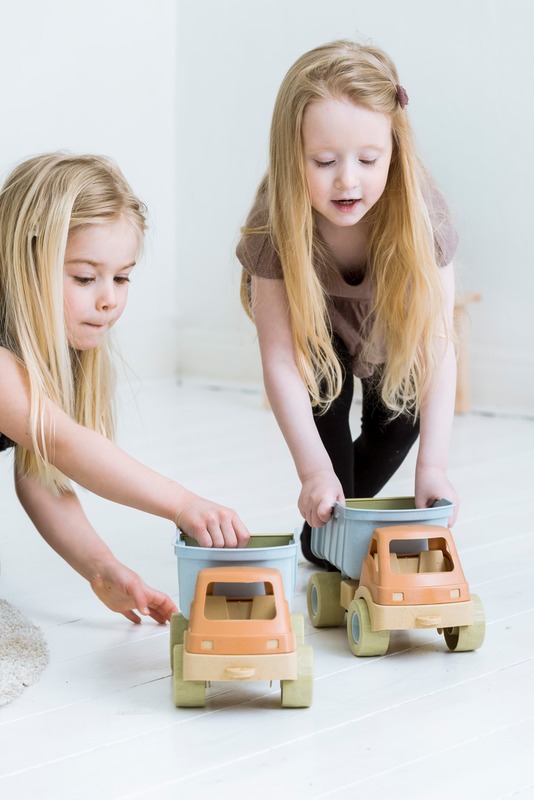 dantoy is launching a brand-new line of bioplastic­ products, thereby enlarging our already eco-friendly selection of plastic toys. Our bioplastic is made of at least 90% sugarcane, a sustainable raw material, and our bioplastic is 100% recyclable. 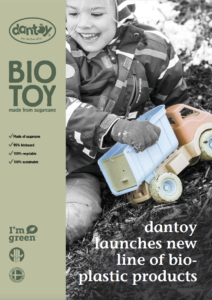 dantoy BIO products have the same qualities as our traditional plastic toys. See our entire line of BIO products at the bottom of the page. The manufacture of bioplastics reduces carbon emissions. The sugarcane is cultivated on controlled, pesticide-free plantations in central and southern Brazil. 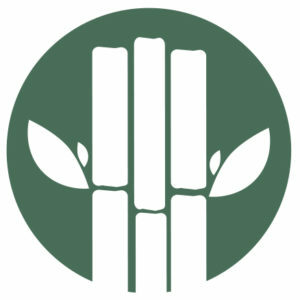 The sugarcane is harvested every 6–12 months. Bioplastic made of sugarcane is a 100% sustainable raw material. dantoy’s new BIO line is designed in refreshing colours conforming to future colour trends for 2019 and 2020. We’re inspired by the Scandinavian Trend Institute, pej gruppen, whose vast knowledge also includes future colour trends. Our BIO gift boxes for our small sets are made of recycled cardboard. They have the same size, making them ideal for stacking and easy to wrap if given as a present. 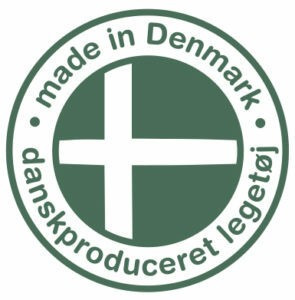 The “I’m Green” symbol may only be used after the amount of sustainable raw materials contained in the product has been verified. Traditional PE is primarily made of crude oil, where as “I’m Green” PE (bioplastic) is made from at least 90% sugarcane (ethanol). Ethanol, a form of alcohol, is extracted from sugarcane, after which it is used to make bioplastic. The sugarcane used for dantoy bioplastics grows in plantations in the southern and central regions of Brazil, more than 2,500 km from the Amazon region. The enlargement of areas for cultivating sugarcane is managed by “Sugarcane Agroecological Zoning”, formed by Brazil’s federal government. The harvested sugarcane is conveyed by train for further processing, which is more eco-friendly than being transported by lorries. Sugarcane can be harvested several times a year. New sugarcane plants are planted every five to seven years. The fields are harvested every six to twelve months enabling them to be classified as a sustainable raw material. 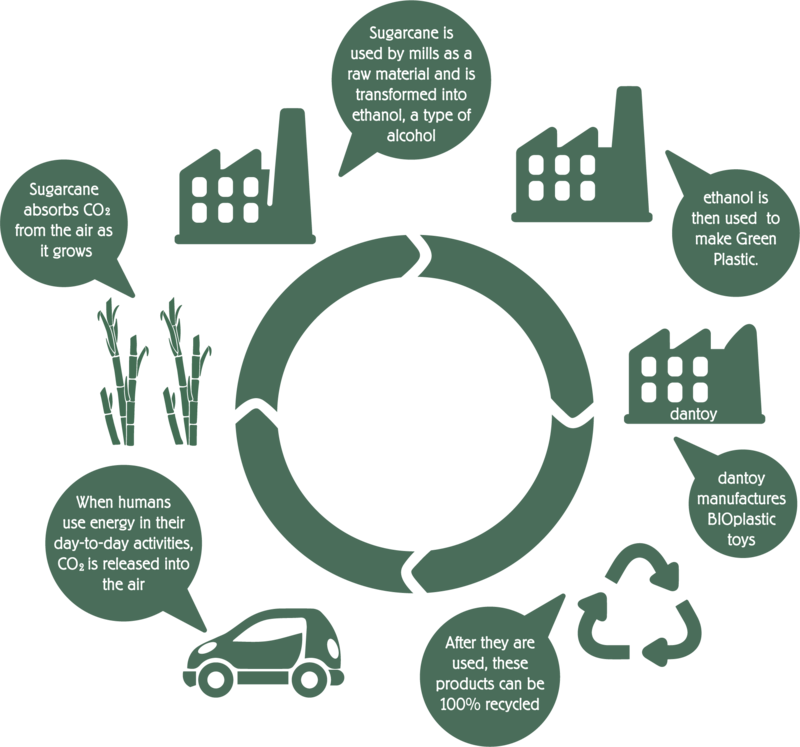 Sugarcane absorbs carbon dioxide from the air, thereby minimising the greenhouse effect. For the manufacture of bioplastic, the carbon emissions accounts are positive from the budding of the plant until it is manufactured into bioplastic. For each kilo of manufactured bioplastic, 3.09 kg of carbon dioxide are removed from the atmosphere. 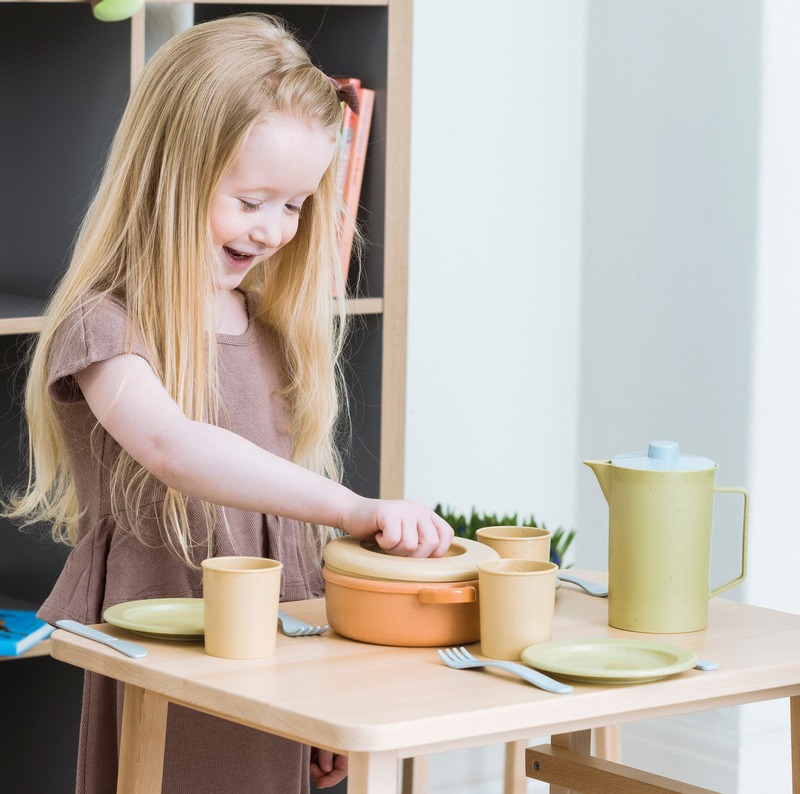 Bioplastic is made on the same equipment and systems as traditional plastic. Thus, no new investments are required. 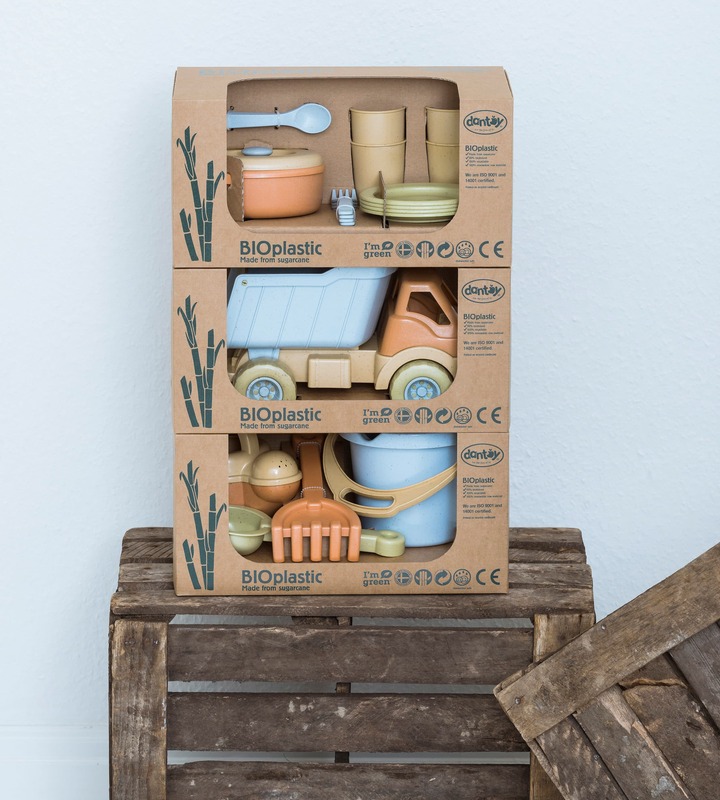 dantoy bioplastic and our traditional plastic toys are quality products with a long service life and they are not manufactured to be biodegradable. 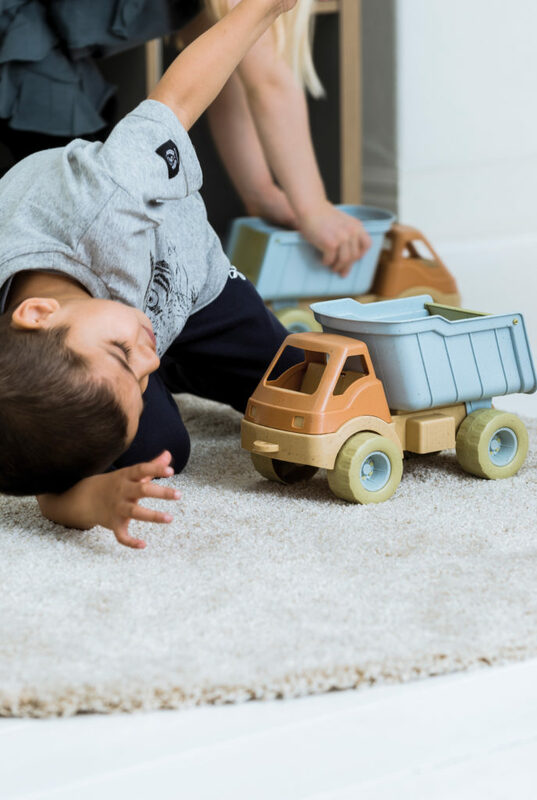 Although our toys do not contain toxic substances they are not intended to be thrown away in nature as waste. They should be disposed of as prescribed by law. Both bioplastic and traditional plastic are 100% recyclable. 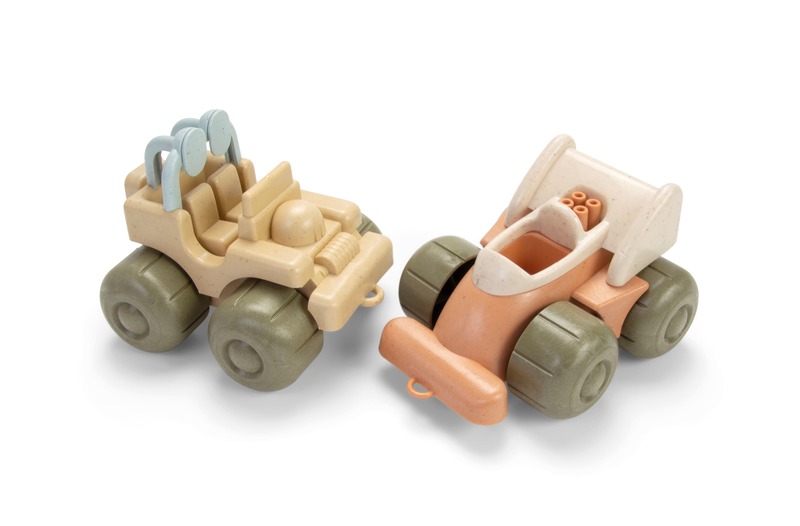 If our toys were made to readily biodegradable, they would not be durable. By contrast, it makes sense to use readily biodegradable material to manufacture disposable products such as water bottles and plastic bags, as these types of rubbish often end up in nature areas as waste.